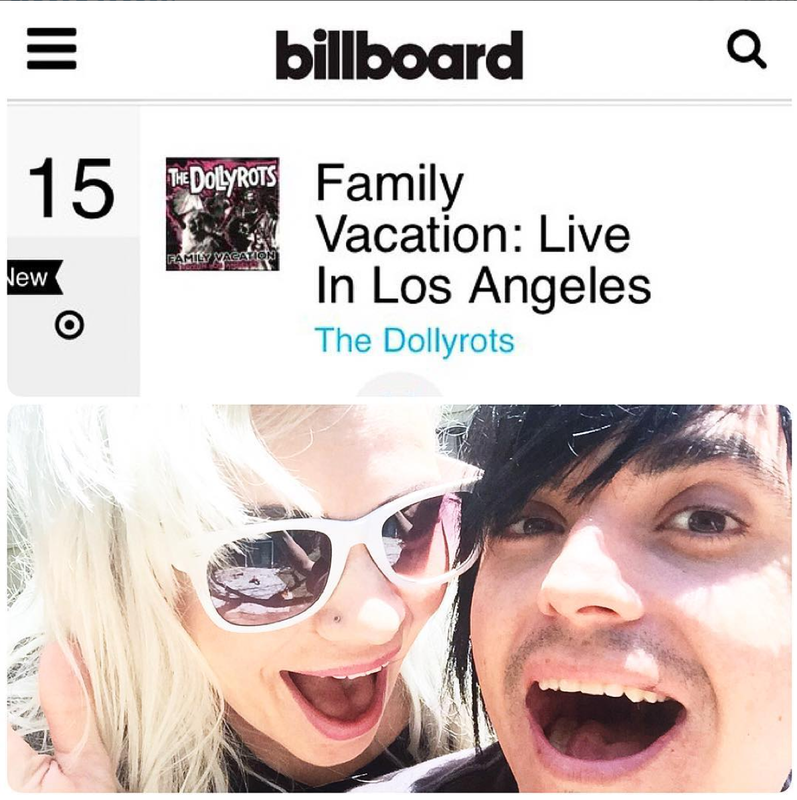 The Dollyrots | “Family Vacation” Debuts at #15 on Billboard! “Family Vacation” Debuts at #15 on Billboard! 22 Mar “Family Vacation” Debuts at #15 on Billboard! Happy faces… cause our new live album ‪FamilyVacation‬ just debuted at #15 on the Billboard Heatseekers Chart!! HUGE thanks to all the fans & friends that made this happen. No major label, no giant ad buys, no radio station payola…. just a direct collaboration between us and our fans!! Rock n roll! February UK Tour with Bowling For Soup begins NOW!